PUPILS REWARDED FOR GOOD WORK! THIS young man was a gifted pupil but not once did he get recognition for his achievements. 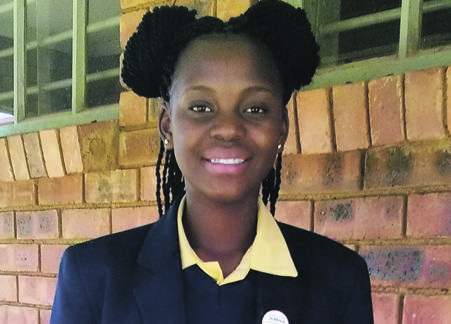 Bokang Mokwena decided that no other pupil should go unrecognised. This is why Mokwena seeks out brilliant kids for his Phakamani Young Minds Academy. More than 23 pupils from primary and secondary schools around Eldorado Park and Freedom Park in Soweto, were rewarded by the academy at Eldridge Primary School in Eldorado Park. Attending in the school’s hall were department of education representatives, teachers from different schools, parents, pupils and the team from the academy. The academy is a non-profit organisation founded in 2014 to help children struggling to pass grades 1 to 12. They even offer opportunities to those who have finished matric. From Monday to Saturday, the academy helps about 500 pupils at its centre in Freedom Park. The academy recognised pupils who got more than 70% in most of their subjects – all noteworthy accomplishments – but the top achiever of all was Nyeleti Ndobe (13) from Lancea Vale Secondary School in Eldorado Park. Nyeleti got more than 85% in all her school subjects in her two previous exams. If anyone needed to be recognised for her hard work, it was Nyeleti.